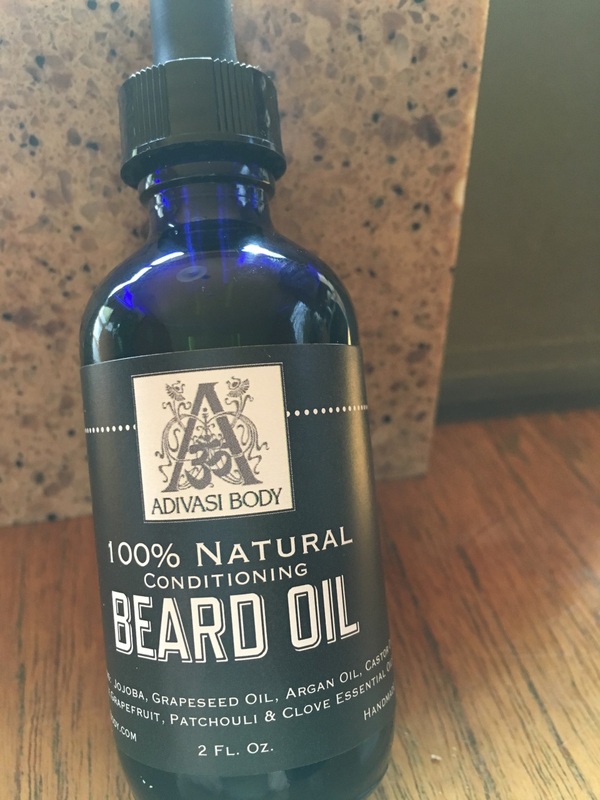 Adivasi Beard Oil is a leave-in conditioner for your beard. Made with moisturizing oils like Argan and Jojoba, a little goes a long way. 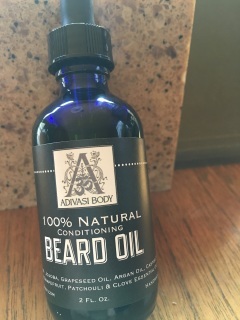 Just a couple drops worked into your beard can do wonders. Smells great! Lightly scented with Orange, grapefruit, patchouli & clove essential oils. Available in a 2 ounce bottle.